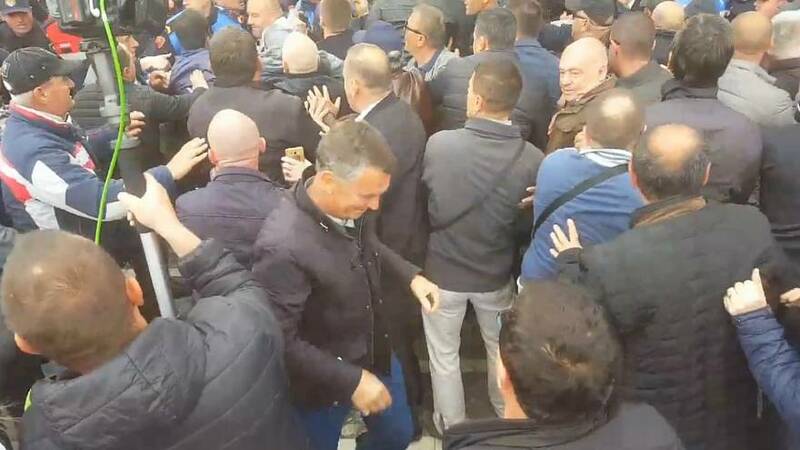 Supporters of Albania's opposition Democratic Party tried to storm the country's parliament building on Thursday as part of an ongoing protest against the government, according to state media. It was not the first time protesters have tried to storm the building. Earlier this month, police fired tear gas and water cannon in a bid to disperse a similar attempt. Demonstrators are demanding that Albania holds early elections following allegations of government corruption and electoral fraud. The video above shows jostling between security forces and protesters, while the one below appears to show tear gas being used. The EU has also weighed in on the ongoing disputes, urging Albania to crackdown on corruption. Talks about Albania's potential membership to the EU are due to begin in June.